F&F Events International Inc. together with Harbor Point Mall and Subic Bay Metropolitan Authority (SBMA) promotes health, fitness and wellness to men and women of all ages and background by conducting the First and largest Fitness Expo this year. The Subic Fitness Festival will be held on 15-17 November 2013. 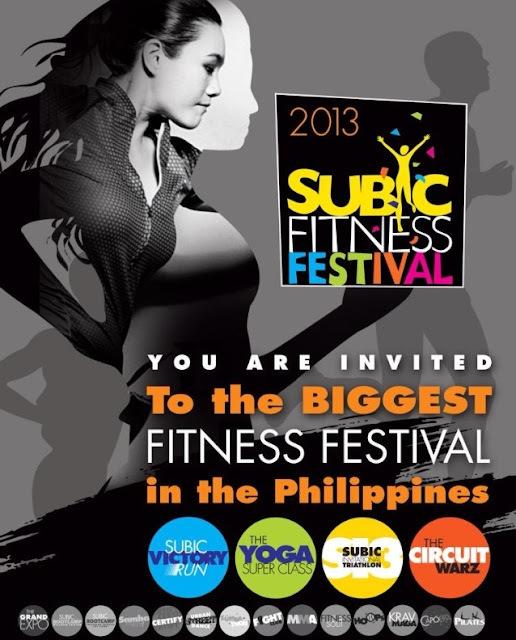 However there will be progressive events starting from June 2013, the launch of the Transit Gym - a 15 sqm. area where gym equipment can be tried and bike racks for tri-athletes to check in. There will be exhibitors showcasing different facets of the Fitness Industry: Fitness & training equipment, nutrition, supplements, retail, training aids, business solutions and the newest trends. The festival will also entail: workshops, wellness seminars, demonstrations, exhibitions, panel discussions, screenings and product samplings from different outfits. For more information and details about this event, you can visit their website for updates and schedule of events.